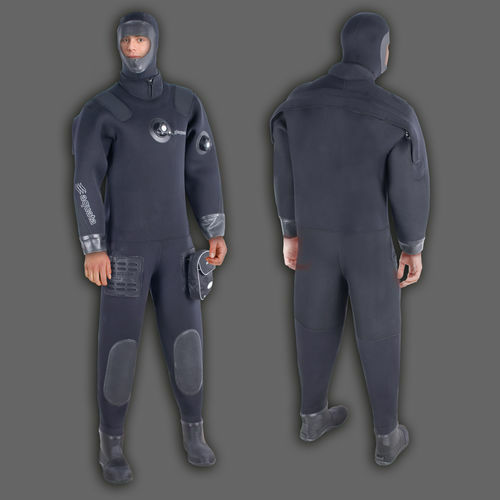 6.5 mm neoprene diving dry suit. Special development for underwater work. HD neoprene, outside fabrics of nylon flex. Backside seat, elbow and shoulder material outside from armortex fabrics. Knee protection HD rubber material. 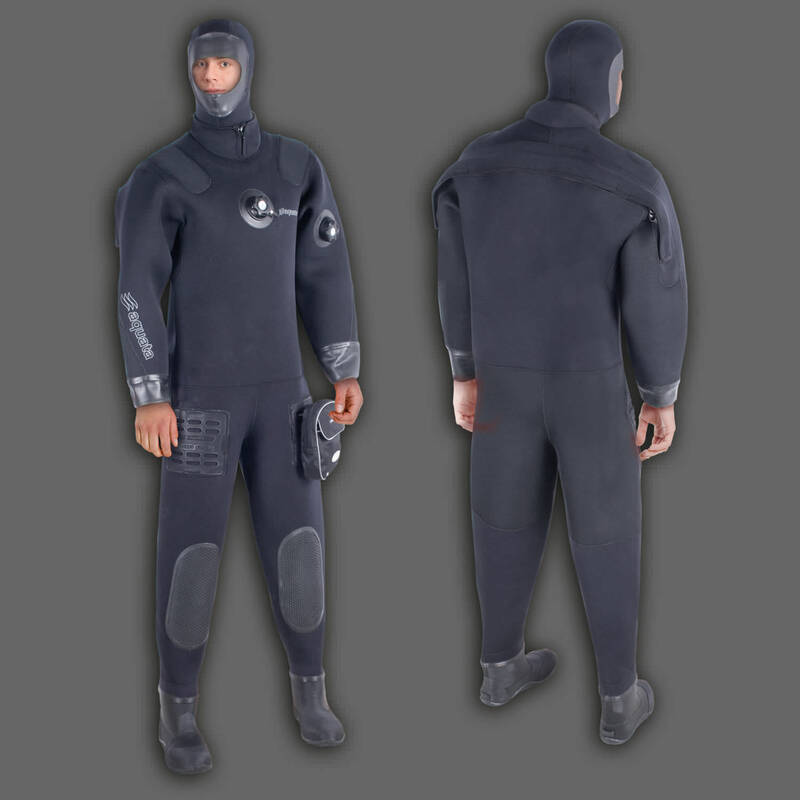 Arm seals made of HD latex, neck seal made of neoprene. (Optional: shoulder with connection for Kirby Morgan helmet). New aquata pocket panel system fixed on both thigh. Comes with one cargo-pocket. 4 other pockets available.